S'mores. 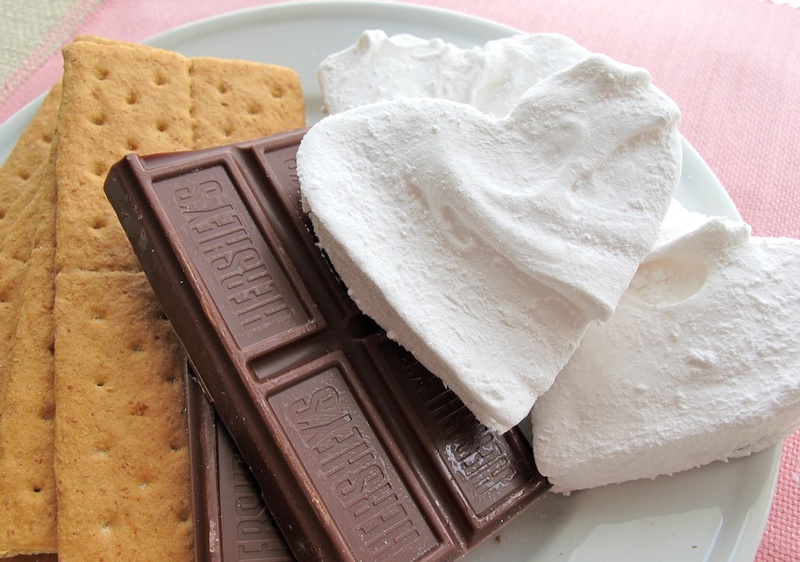 Whether it is in front of your fireplace, over your gas stove, or a real bonfire, s'mores are such a romantic dessert to make - They are rustic and messy and ooey and gooey... perfect for my kind of Valentine's Day. But, because I couldn't wait for Valentine's Day, I put this romantic recipe to work last night after dinner. I know, it might seem like a 'no-duh' type of recipe. But, for those of you that never went to camp or on a hayride... here is the recipe for making s'mores! Note : I used heart-shaped homemade marshmallows - get the recipe here. 1) Start a/Find a fire. You can use your fireplace (gas or wood burning), fire pit, gas stove, or microwave, if necessary. 2) Find two long sticks or long wooden skewers. Again, creativity is key here. Last night, I used tongs. Put two marshmallows on each skewer. 3) Toast the marshmallows over the fire for about 3-5 minutes until gooey and toasted. 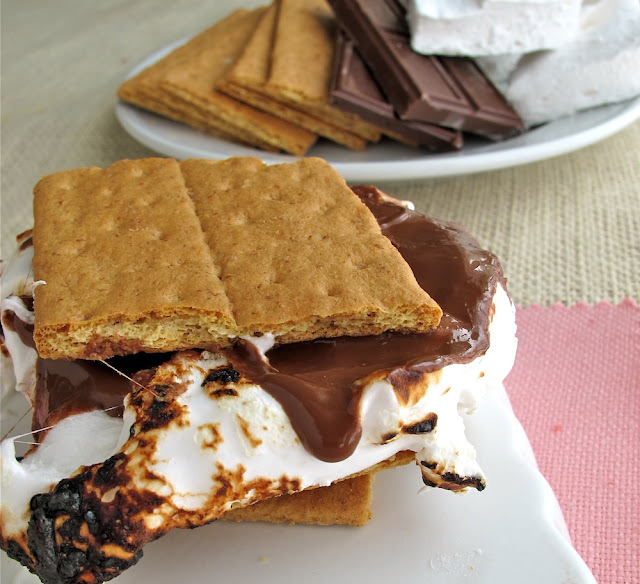 4) Sandwich the toasted marshmallows with graham crackers and chocolate. If you like the heart-shaped marshmallows (perfect for Valentine's Day) you can get the recipe here!